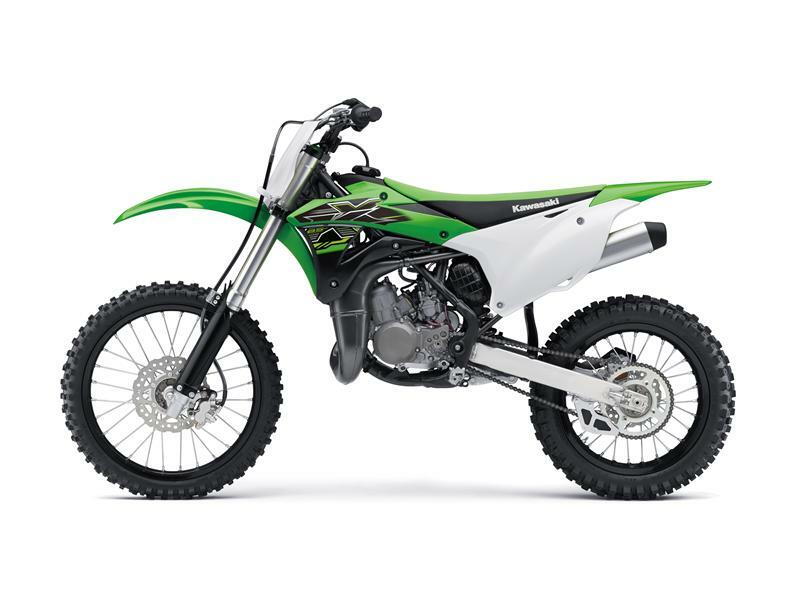 Sturdy perimeter frame enables young riders to push hard on the track. A choice of six positions allows riders to tailor their riding position. All-new minimalist bodywork, flatter tank and slimmer, flatter seat were designed to make it easier for racers to go fast. Revised fork offers improved damping and bottoming resistance, enabling higher-paced riding and contributing to increased ride comfort. Revisions to the rear shock contribute to a more stable ride feel, and offer increased adjustability and lighter weight. All-new bodywork and racy graphics ensure the new bikes will look good in the winners’ circle. Black alumite1 rims, black fork guards, and blue alumite1 finish on the suspension adjusters further strengthen their factory image. 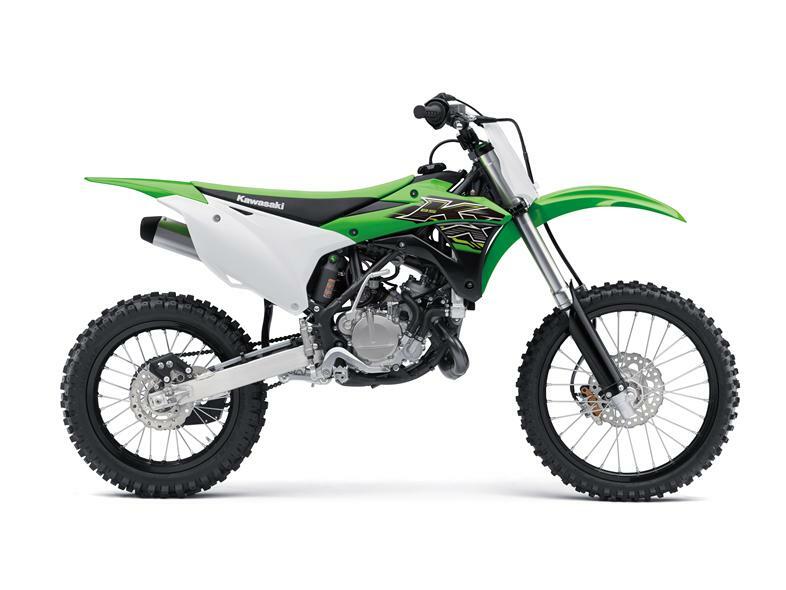 Riders can choose from two available sizes: the KX85-II feature 19” front and 16” rear wheels; the KX85-I is equipped with a 17” front and 14” rear.